Pamela currently lives among the rolling hills of Tennessee with her husband of more than a decade, three kids, two cats and one very blond dog. She is still a Marianne hoping to grow into Elinor, or Claire from Steel Magnolias. I am a wife and mother with a serious word addiction. I have always lived in my imagination and dabbled with writing nearly my whole life. I began devoting time to writing and publishing about four years ago while I was pregnant with child number three. I currently live in Tennessee but was born in Arkansas. I have been married to a wonderful man for thirteen years and we have three brilliant and beautiful children. Day to day I mostly read happy and light books that don’t require me to delve too deep. 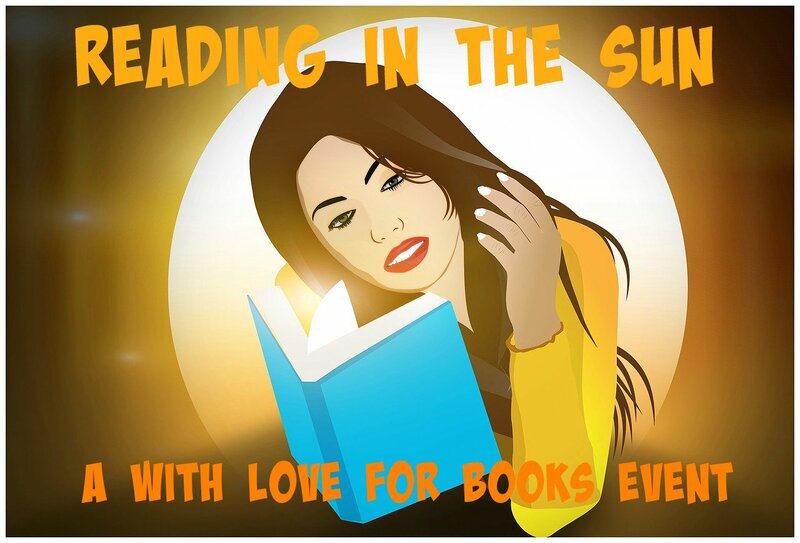 When I have an extended period of time to devote to reading, I look for the books that will bring out a variety of emotions and hopefully teach me something about myself or humanity along the way. A sunny day in my own backyard sounds pretty great these days. That may not sound too exciting, but I spend so much time indoors writing these days that just stepping outside at all sounds lovely. I love to cook and I spend a great deal of time searching for recipes and learning new techniques. Food Network is constantly playing at my house. My son expressed an interest in learning to cook this summer so I have really enjoyed being in the kitchen with him. Inspiration truly is everywhere. I draw a great deal from my past and my family as well as experiences I have had recently. I write historical fiction, but current situations still apply so well to the past. The human heart is the best source of inspiration. Elizabeth Bennet from Pride and Prejudice. I will resist the temptation to say it is because she ends up with Mr. Darcy. Though that it enough reason, there is so much more to learn from her experiences as an independent thinking woman during a time when females were either adornments or subordinates. My kitchen table. Reading is a great indulgence these days and I associate it with my other favorite indulgences—wine and food. I love the mountains of North Carolina in the US. We lived there for six years and return every fall to see the leaves and ride the train. It is the most beautiful place I have ever seen in the fall but the lakes and rivers are just as beautiful in the spring and summer. For nature lovers, it is a must see destination. Write what makes you happy then add a beautiful man with a roguish smile and wicked sense of humor. 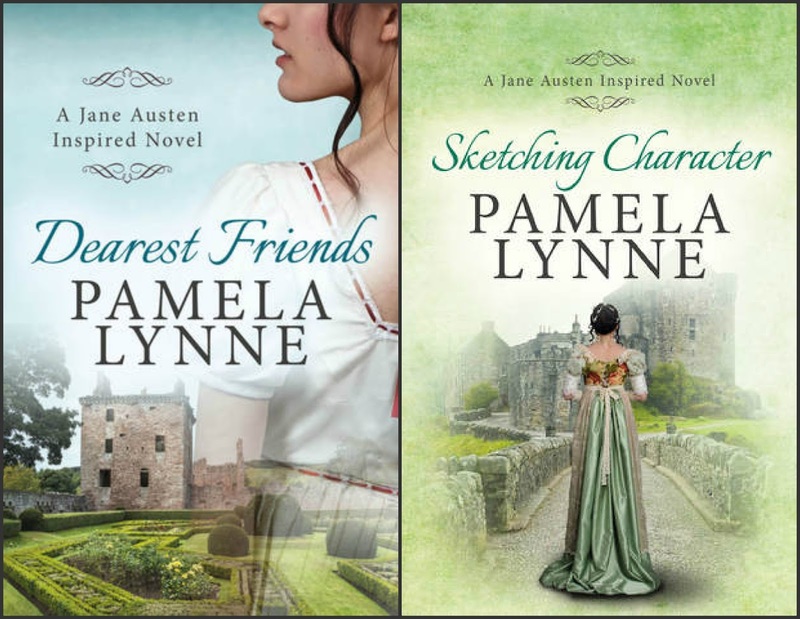 One very lucky reader will win a Vanity and Pride Press gift pack which includes two signed paperbacks, a tote bag, various swag and Jane Austen related items by Pamela Lynne. I love the covers, they are so beautiful. Who could resist falling in love with Mr. Darcy? Certainly not me. (Especially if he looks like Richard Armitage or David Gandy, right?) Great interview! Mr Darcy always looks like the Cilin Ferth version to me. The 2005 movie version is good too, but younger looking. Nice interview. This is a new author for me and am very interested in reading these books. I'm a big Jane Austen fan, too, and love her website!! Thanks for the great interview and I love the covers for these books. Love both of these books, and can't wait for Family Portraits. I know I'm going to love it. Wow lovely books. Thanks for the chance. Great interview! Those pretty covers make me want to read them right now. Great interview! Congrats on your newest book! Can't wait to read it! We like to watch Food Network at our house, too! Admittedly I never read anything by Miss Austen herself, but I am quite fond of novels inspired by her work be it historical of chick-lit. I have yet to read any of the many books inspired by Jane Austen's writing, but these sound so great I might just have to start. Ms. Lynne's writing advice is hilarious (and spot on), so I can only expect good things from her writing. I love Jane Austen. So I think I will love your books too. various swag and Jane Austen related items from Pamela Lynne. I liked reading your interview and these books sound interesting.